Few cocktails truly deserve a full week in their honor. But the Negroni isn’t just any cocktail, which is why we’re raising our glasses to Negroni Week kicking off today with events across the country. In its classic guise, the Negroni—equal parts gin, Campari and sweet vermouth—is a perfect cocktail: simultaneously bitter and sweet, powerful and refreshing. But it’s also an easy cocktail template to play around with. 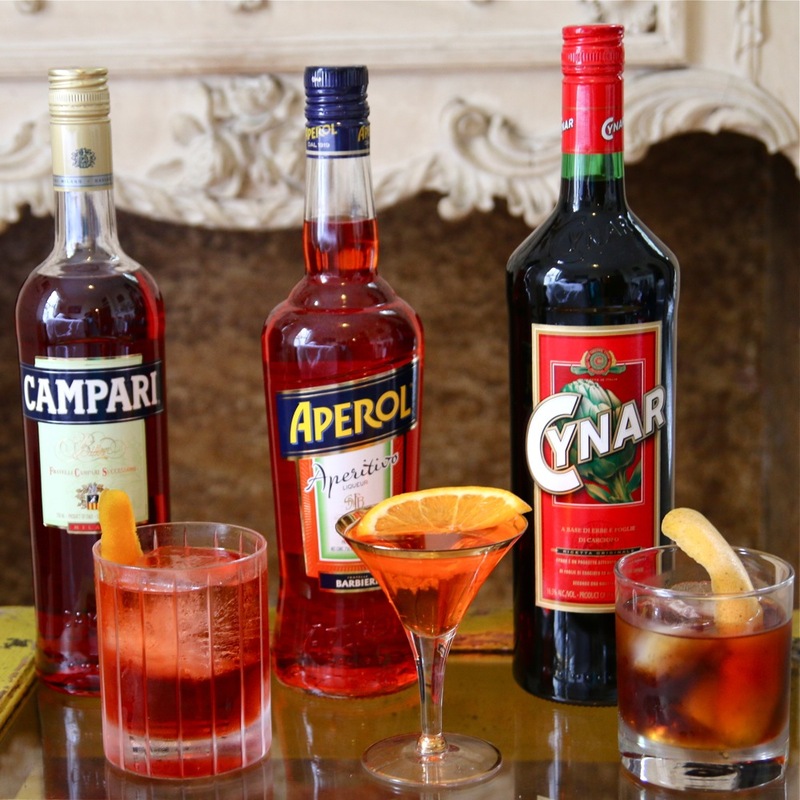 Swap out the Campari for a fellow amari like Cynar, or swap out the gin for bourbon, and you’ve got something wholly different yet still in the Negroni style. Here are three Negroni variations we love, from the classic to the much less so. “Make a great Negroni” should be on everyone’s life skills list, right up there with learning to drive stick and cooking a decent omelet. The classic template is 1 part gin, 1 part sweet vermouth and 1 part Campari. We actually like to up the gin a little, because hey, this is a gin cocktail and we like a quality gin to shine through. But there’s nothing wrong with the standard recipe; give both a try and report back. Instructions: In a glass with ice, start with 1½ ounces of London dry gin—we love Beefeater. Add 1 ounce of sweet vermouth—we’re fans of Carpano Antica, which has a robust, herbaceous character—and 1 ounce of Campari. (We like a dash of grapefruit bitters here, which blend nicely with the bitterness of Campari and the citrus of Beefeater; splash ’em in if you’ve got them.) Give it a good long stir until it chills down, around 30-plus stirs, and then strain into a glass with fresh ice. Cut off an orange peel, twist it over the drink to release its citrus oils and add it as a garnish. Looking for something a little lighter than the powerful one-two punch of gin and Campari? Here, we’re using Aperol—Campari’s sweeter, orangey-er cousin—and Dolin Blanc vermouth, lighter and more herbaceous than a red sweet vermouth; the result is a lively, aperitif-style cocktail we could drink all afternoon. Instructions: In a glass with ice, start with 1 ounce of gin (we’re using Beefeater), 1 ounce of Aperol and 1 ounce of Dolin Blanc. (We like a dash of orange bitters here.) Give it a good long stir until it chills down, around 30-plus stirs, and then strain into a glass. Garnish with a thin orange slice. Just about anything can be Negronified—even, believe it or not, Scotch. We’re pairing it with Cynar, a bracingly bitter amaro that’s actually derived from artichokes, whose depth of flavor stands up to a blended Scotch beautifully. Instructions: Pour 1½ ounces of blended Scotch (like the Black Grouse), 1 ounce of Cynar and 1 ounce of Carpano Antica sweet vermouth into a glass with ice. (A dash of grapefruit bitters is great, too.) Stir until chilled and strain into a rocks glass with fresh ice. Garnish with a grapefruit peel, squeezing it over the drink to release its citrus oils.